If you are looking to have a little more purchasing power at your favorite stores, the Blue Cash Everyday® Card from American Express may be the solution for you (American Express is a CardRatings.com advertiser). This no-annual-fee, 0 percent intro APR card has been a longtime shining star for CardRating's readers. Terms apply See Rates and Fees. $150 bonus after spending $1,000 in the first three months. As its name suggests, the Blue Cash Everyday® Card from American Express is a solution for everyday expenses. 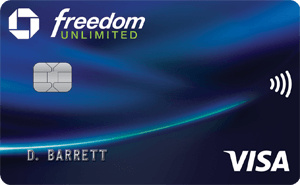 This card is especially good if you’re a casual credit card user since there is no annual fee unlike sister card Blue Cash Preferred® Card from American Express, which offers higher rewards for a $95 annual fee (Terms apply. See Rates and Fees). That said, Blue Cash Preferred® Card from American Express offers 6 percent cash back at U.S. supermarkets (on up to $6,000 spent annually), so if you spend $1,585 you would be eligible for $1,585 x 6 percent or $95.10 cash back from your grocery spending - which covers your annual fee. So if you spend more than $1,585 annually at U.S. supermarkets, the Blue Cash Preferred® Card from American Express may be a better bet for you. (Plus, you will can also earn in the other categories as well to help offset the fee). The Blue Cash Everyday® Card from American Express doesn’t offer travel rewards, but the card does have travel benefits such as roadside assistance, travel accident insurance and help with planning overseas travel. For a credit card with no annual fee, Blue Cash Everyday® has high ongoing rewards: 3 percent cash back at U.S. supermarkets, 2 percent cash back at U.S. gas stations and select U.S. department stores and 1 percent cash back for all other purchases. (Check out more about the rewards earning). The Blue Cash Everyday® Card from American Express offers cardholders 0 percent APR on purchases and balance transfers for 15 months (then 15.24% - 26.24% Variable). (More on that here). Snag a $150 bonus statement credit after you spend $1,000 in the first three months. Rewards for U.S. supermarket purchases are capped annually (once a cardholder reaches $6,000 in grocery purchases for the year) then the rewards rate drops to 1 percent. If you spent well more than that, you may want to look at a card that offers a lower rewards rate, but doesn't cap it. Compare a few options now . Many rewards cards on the market charge an annual fee, but we love that the Blue Cash Everyday® Card from American Express doesn’t. Paying no interest on purchases or balance transfers during the first 15 months is perhaps the most enticing perk of the Blue Cash Everyday® Card from American Express, but after the intro period, but it’s the generous cash-back rewards you’ll be glad you have. American Express Reward Dollars are easy to redeem: They can be applied as statement credit, for gift cards, or as a physical check. Reward Dollars can be redeemed with as few as 25 points. To earn Reward Dollars faster, consider ordering additional cards for your family and friends. Their spending applies to your account total. For example, if you’re a couple with a newborn and you have an awesome aunt or generous grandpa running errands for you, get them a card! This handy blue card doesn’t have any red flags, but you need to know that since this cash back rewards card doesn’t tout travel rewards, points only kick in when making purchases in the United States. For example, when you shop at a Nordstrom in New York, it earns you rewards. But the purchase you made at the Nordstrom in Nova Scotia, Canada, does not. Reward Dollars cannot be used to pay the minimum payment due. The credits must be applied to the total balance owed on the card. So, after the 0 percent introductory APR has passed (15 months), this is not necessarily the credit card you want to use “for emergencies” and pay off later. The 0 percent intro APR on purchases and balance transfers runs for 15 months, but balance transfers must be made within the first 30 days. Not bad. After that, your APR will be a variable rate (currently 15.24% - 26.24% Variable) and it’s based on your creditworthiness and other factors. American Express can also end your introductory rate if you do not pay at least the minimum payment due within 60 days of the due date. 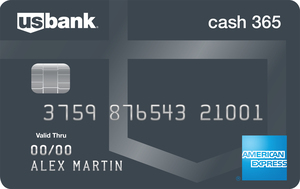 The features that make the Blue Cash Everyday® Card from American Express a smart option for regular purchases are closely imitated by the Bank of America® Cash Rewards credit card. No annual fee, intro APR for the first 12 billing cycles on purchases and balance transfers made within the first 60 days of account-opening (then, 16.24% - 26.24% Variable APR on purchases and 16.24% - 26.24% Variable APR on balance transfers), and between 1 percent and 3 percent cash rewards for qualifying purchases round out the similarities. Plus, you can earn a $200 online cash rewards bonus after spending $1,000 in the first 90 days from account opening. With the Bank of America® Cash Rewards credit card, there is a new offer to maximize your cash back in the category of your choice: gas, online shopping, dining, travel, drug stores, or home improvement/furnishing. Now earn 3% cash back in your choice category and 2% at grocery stores and wholesale clubs (up to $2,500 in combined choice category/grocery store/wholesale club quarterly purchases), and unlimited 1% on all other purchases. You can update your choice category for future purchases once each calendar month using the mobile banking app or online banking, or do nothing and it stays the same. Citibank's competitive offer, Citi ® Double Cash Card – 18 month BT offer is another no-annual-fee credit card offering cash rewards. This card has an across-the-board 1 percent cash reward, and you can earn another 1 percent cash reward when you pay at least the minimum balance. If you are planning to do a balance transfer, the Citi ® Double Cash Card – 18 month BT offer's introductory 0 percent APR lasts for 18 months, six months longer than the Blue Cash Everyday® Card from American Express. The Capital One® Quicksilver® Cash Rewards Credit Card offers a no-annual-fee card with a chance to earn $150 in cash rewards by spending just $500 on purchases in the first 3 months. With this card, Capital One also offers an additional 1.5 percent cash back on every purchase, with no limit on how much you can earn. If transferring a balance is important for you, you’ll appreciate the 15 months of 0 percent APR on purchases and balance transfers offered on both cards (then, 16.24% - 26.24% (Variable) for the Capital One card). We like the Blue Cash Everyday® Card from American Express as a go-to credit card when you make purchases as part of your regular, weekly errands. Filling up at the pump, buying groceries for the week and picking up some new pieces of wardrobe are the sorts of purchases that rack your points up quickly. I have the OLD version of this card and have been very happy with it for many years. Unfortunately, they recently scaled back the earn rate on "all other purchases" from 1.25% to 1%. :( I am not such a big fan of the card now.Again...this is a different structure to the current card described!